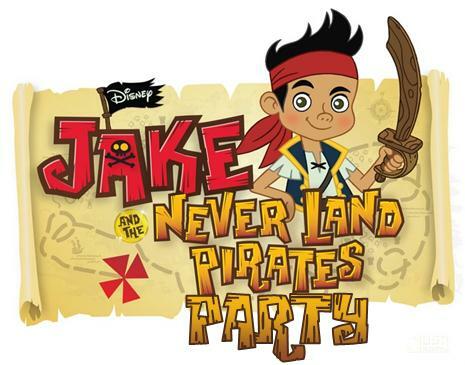 Jake and the Neverland Pirates Party Games, Invitations and More! 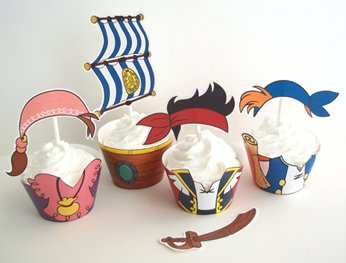 Yo Ho, Let’s Go..have a swashbuckling Jake and the Neverland Pirates party! 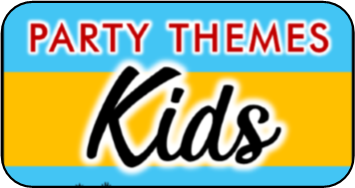 Below you’ll find tons of party game perfect for celebrating your child’s sea lovin’ birthday. 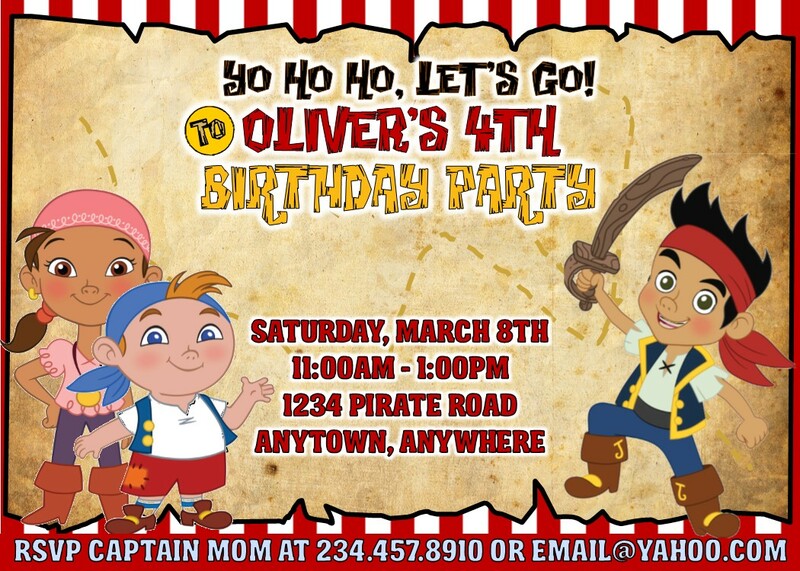 I also have personalized Jake and the Neverland Pirate invitations and candy bar favor printables. Check them out after the games. For this party game you’ll need a kitchen timer. The kind the you turn and it ticks until the timer goes off the it RRRRings. To play the game simply set the timer for one or two mintes and hide it around your playing area. The crew must find it before it goes off. The first person to hide it can be the next to hide it. Create a plank out of a board and have the crew practice walking the plank. See if the can do it sideways, backward, blindfolded, etc. You can also consider a relay race where you have two planks and each player must walk across the plank, pick up a bucket and return it to their team without losing their balance. Purchase a few Pirate Hooks and have the kids use them to scoop up small prizes from a kiddie pool filled with water . Before the party starts, add a wire loop to each item. Let each kid take a turn hooking a prize. Purchase chocolate coins and hide them all around the party area. Have the players for them. Or you can hide plastic gold coins and tell each child if they find a certain amount ( four or five) they can trade it for a goodie or prize. Don’t let the cannonball touch the ground! In this timeless and simple game players work as a team to keep the black cannonball (balloon) up in the air. If it touches the floor everyone yells “hit the DECK!” and dives on the ground to take cover. It’s fun and silly. Play as many rounds as you want. 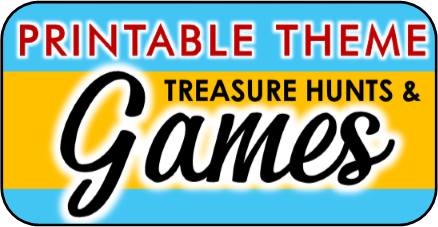 Another game you can play with a kiddie pool is treasure dig. You can fill the pool with dirt or shredded paper if it is an indoor party (or you just don’t want to deal with dirt ) Hide pennies or plastic gold coins inside for the kids to find. Play it like a relay race where a child from each team must find ONE coin, rush it back to their team and tag the next player. At the end of a ,say, 5 minutes whichever team has the most coins win! 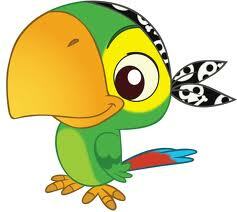 Follow orders or you’ll bel fed to the fishes!~ The kids will have a blast playing this fun and silly pirate game. First thing first, the Captain (an adult volunteer) will demonstrate the different pirate actions. The following list is a good one, but feel free to add you own. Yo Ho players shout back “yo ho, let’s go”. Hoist the mainsail all jr. pirates pretend to be hoisting a rope for the sail. Port side Everyone shades their eyes and looks to the left. Starboard! shade eyes and look to the right. Climb the rigging players pretend to climb rigging. Scrub the decks everyone drops to their knees and makes a scrubbing motion with their hands on the floor. Look out for Tick Tock Everyone shrieks “ Tick Tock the croc” then hides their hands. Once the players know all the pirate moves the captain starts calling out orders. The captain should start calling them out in random orders and faster and faster. That’s what makes this game so funny. Just play for fun, no need to try and eliminate players as long as everyone is trying and having fun. 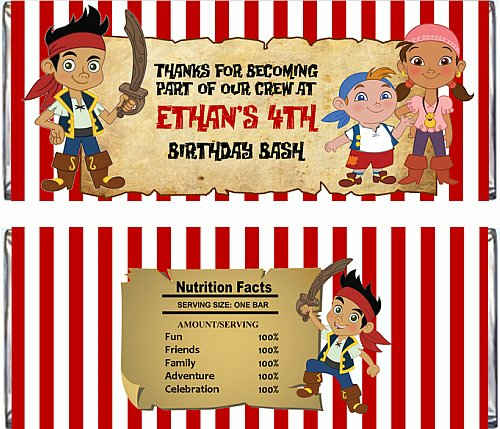 This swashbuckling printables party set comes with personalized invitation, personalized coloring sheet, cupcake wrappers, and personalized candy bar wrappers. Your choice of red or pink stripes. All you need to do is print it (or send them to your favorite photo lab to have them printed) and send! 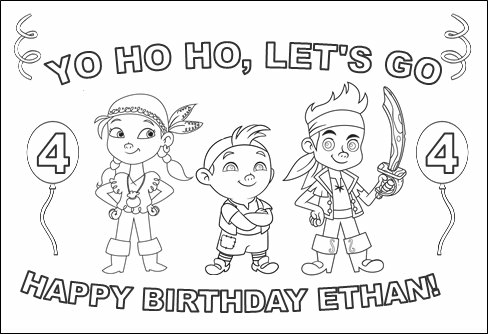 Why buy the generic party supplies or invitations that you have to fill out by hand yourself when you can have these personalized party supplies that come ready to Yo Ho Ho GO! !